Doesn’t that sound like it should be the plural of moose? No crochet here this weekend. OMG. I put the hook down for a few days. Yeah, I amaze myself. Martha and I are dangerous when we get together. We started off our weekend with the innocent shopping of craft shows. And then it snowballed. We got inspired. We got the giggles. We got supplies. 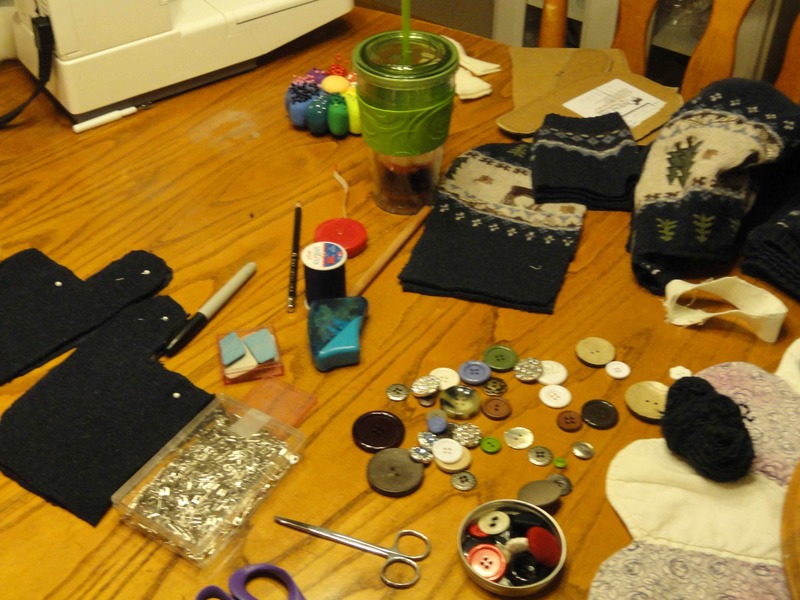 We invaded my kitchen for 2 very full days of cutting and sewing of old sweaters. 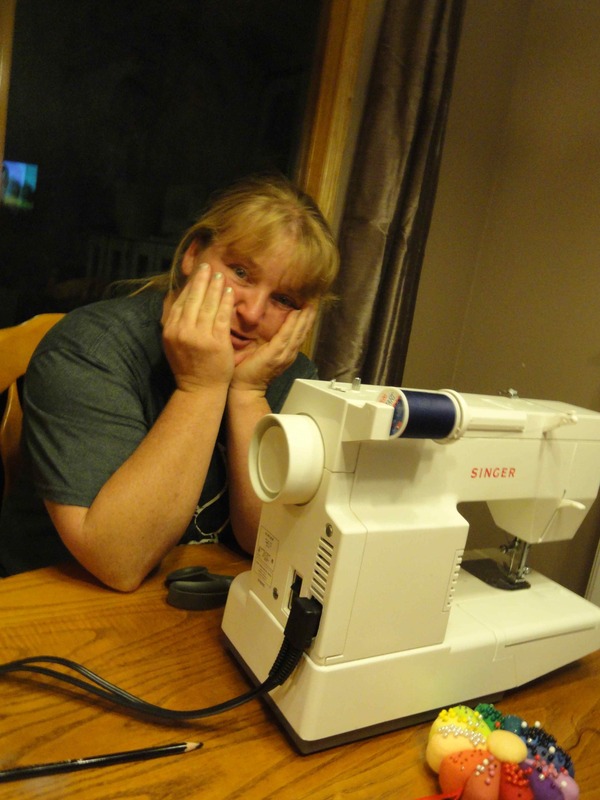 When you have no pattern and want to make unique upcycled items, what ARE you getting yourself into? Mittens. 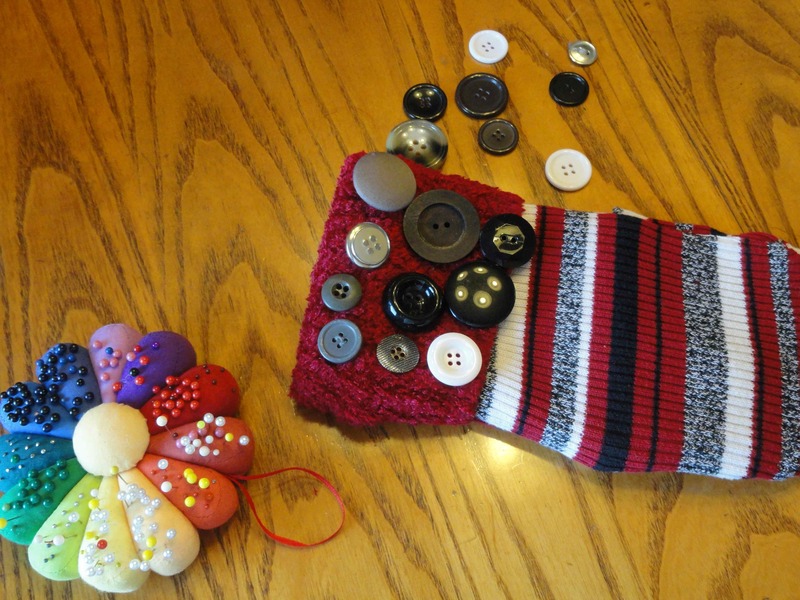 Our answer was mittens. 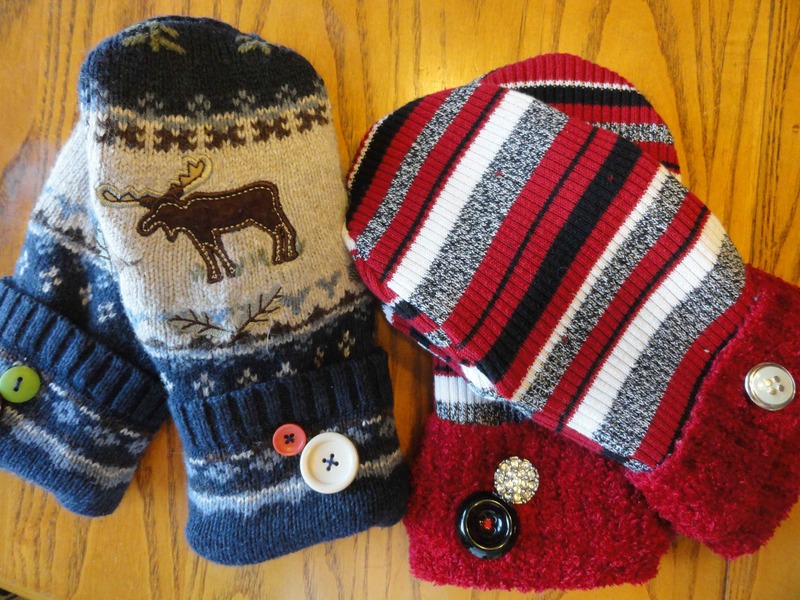 And by the end of day 2, we had oodles of sweaters cut up at the ready and 2 more finished pairs of mittens. What a cute idea! I envy your creativity! Giggles and supplies — that’s a dangerous combination! 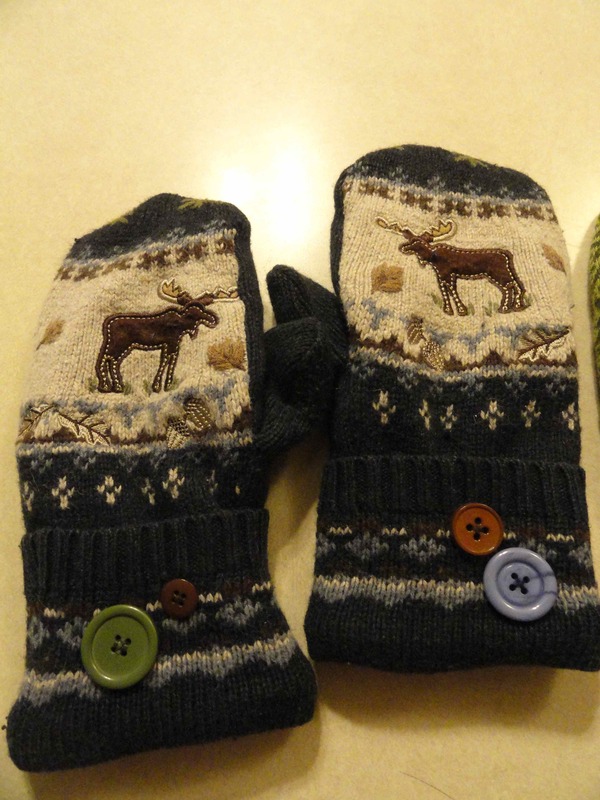 lol The mittens turned out cute!